Josh Nelson is an active teacher and arranger, visual designer, adjudicator, and clinician currently residing in Old Hickory, TN. Mr. Nelson is the driving force behind Music City Mystique (MCM), a Winter Guard International (WGI) Percussion Independent World (PIW) 8-time world champion winter drumline, based in Nashville, Tennessee. Mr. Nelson’s involvement with MCM began in 2000 as a marching member and later member of the instructional staff. Today, Mr. Nelson serves as MCM’s Executive Director, a position he has held since his appointment in 2006. In addition to his role at MCM he also serves as percussion director at Stewarts Creek Middle and High School in Smyrna, TN. His responsibilities include directing all aspects of percussion curriculum, instruction, and performance for grades sixth through twelve. Mr. Nelson is proudly endorsed by Innovative Percussion, Inc.
Matt Jordan has been the front ensemble arranger for McM since 2014. Matt marched 6 years in the organization, from 2000-2005, and has served on the instructional staff in various capacities since he aged out. Outside of McM, he teaches percussion at Middle Tennessee State University in Murfreesboro, Tennessee, and works in artist relations and product development for Pearl/Adams Instruments. Matt is also currently the Music Coordinator and Electronics Designer for the Bluecoats Drum and Bugle Corps. Additionally, Matt is finishing his DMA from Florida State University. For more information on Matt, visit his website, www.mattjordanpercussion.com. Matt Filosa is a freelance percussionist, composer, and arranger currently residing in Euless, Texas. Co-owner of the marching arts design company Synced Up Designs, Matt writes,designs, and teaches groups all over the country. From 2011 to 2014, Matt was the drumline instructor for the Marching Chiefs at The Florida State University. Matt earned a Masters degree in percussion performance from the University of North Texas and Bachelors degree in percussion performance from the University of Florida. After marching with McM in 2004, 2006, and 2007, Daniel became part of Mystique’s design team. He has been instrumental in developing McM’s show design, floor design, uniform design, color palette, and multimedia. 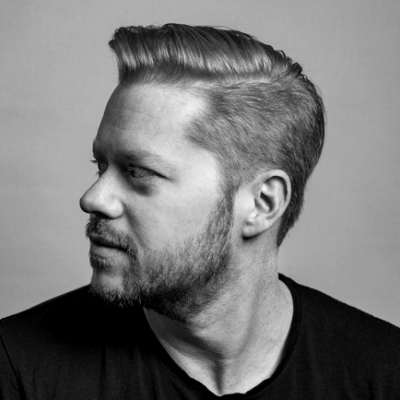 Currently, Daniel is a Sr. Creative for Country Music Television designing the channels major award shows such as CMT Music Awards and CMT Artists of the Year. He is also responsible for the channel’s photography, key art, and graphic design. Check out his personal work here. Michelle graduated from Central Michigan University in 2015 after studying French, Music, and Business Administration. She was a front ensemble member of NorthCoast Academy from 2012 to 2014, and Redline Percussion in 2015. She began her DCI career with Legends Drum and Bugle Corps in 2011, followed by Spirit of Atlanta in 2012. She went on to be a front ensemble member of Carolina Crown from 2013 to 2015. Michelle aged out with Music City Mystique in 2016 as a vibraphone player. She joined the administrative staff of Music City Mystique in 2017. Carl has been involved with McM since 1997. He was a member of the snare line in 1997, 1998, 2001, and aged-out as the ensemble’s co-section leader in 2002. Carl has been a member of the instructional staff since 2003. In addition to McM, Carl has taught percussion programs at various high schools and universities in the South, as well as served as a staff member for the Spirit of JSU Drum and Bugle Corps from Jacksonville, Alabama, and The Cavaliers Drum and Bugle Corps from Rosemont, Illinois. He is a practicing attorney in Nashville, Tennessee. Don is the co-founder and former Director of McM. As the current Director of Creativity, he continually brings order to the complexity of McM’s productions. Don actively designs, consults, and teaches many high school marching bands, indoor groups, and independent drumlines. When not involved in music instruction or consultation, Don works for the Artist Relations Department of D’Addario & Company, Inc. He currently lives in Houston, Texas, with his wife, Stephanie, and their two children, Avery and Piper. Chris Finen is the treasurer of McM’s Board of Directors, a position he has held since 2006. Before joining the Board, Chris co-founded the Music City Mystique organization in 1995 with Don Click and has fulfilled various roles since then, including Director of Indoor Percussion (1995-2003), Caption Head (1995-1999), and Battery Arranger (1995-1998). Chris is an Electrical Engineering graduate from Vanderbilt University and has worked for Eaton Corporation as an Application Engineer since 1994. Additionally, Chris has taught percussion for the Vanderbilt University “Spirit of Gold” Marching Band, as well as numerous high schools throughout Tennessee, and performs with the popular Nashville coverband, Guilty Pleasures. Michael Chester joined the MCM Board of Directors in October, 2016. His involvement with Music City Mystique began in 1999 as a performing member. Since his age out in 2002, He currently serves as a member of the faculty of Stewarts Creek High School, where he works collaboratively in guiding all facets of the band program. Prior to this position, he served as a graduate teaching assistant in the School of Music at the University of Illinois at Urbana-Champaign. He previously served the Middle Tennessee School Band and Orchestra Association for two elected terms as a member of the executive board. In 2011, he was inducted into Phi Beta Mu International Bandmasters Fraternity. He earned his Bachelor of Music degree from Middle Tennessee State University and a Master of Music Degree from the University of Illinois at Urbana-Champaign. Lenny Keesee joined the McM Board of Directors in October, 2016. Previously, Lenny held administrative rolls as the Operations Director for Wake Forest Independent and he also spent three years as the Percussion Coordinator with the Atlantic Indoor Association. Keesee directed the marching percussion programs at Ledford High School in Thomasville, NC from 2000 – 2012. As a performer, Lenny was a member of the Virginia Helmsmen (WGI PIO) from 1998 through his age out year in 2002. He currently resides in Danville, Virginia with his wife Lacey, daughter Layla and son Luke. Meagan is McM’s Front Ensemble Coordinator and has been teaching the group since 2006. Meagan was a member of McM’s renowned front ensemble from 2002-2005. She is currently the band director at Spring Hill Middle School in Spring Hill, Tennessee, and also teaches the front ensemble for the Phantom Regiment Drum and Bugle Corps from Rockford, Illinois. She currently lives in East Nashville with her husband and incredible pup Obi Wan the Dobie. Angelo Outlaw, Jr. (Jello) is a native of Philadelphia, PA. Angelo started playing in drum corps front ensembles in 2004 with DCA’s The Bushwackers before marching with DCI’s Kiwanis Kavaliers in 2005, the Crossmen in 2006 and 2007, and lastly, with the Bluecoats in 2008 and 2009. Since aging out of drum corps, Angelo has spent the past four seasons as a member of the front ensemble staff with the Blue Knights. Angelo has been involved with Music City Mystique since 2008, playing vibraphone for 2008 and 2009 and then marimba from 2010-2012. He was also served as the section leader for 2011-2012. Since 2013, Angelo has been an active member of the teaching staff at Music City Mystique. Ben Lupton has served as Music City Mystique’s Battery Caption head since the 2016 season. He became a member of its quad line in 2009 and gladly joined the staff after aging out in 2011 after being a dedicated member for three consecutive seasons. His drum corps career includes three seasons on quads with Spirit DBC from 2007 to 2009. Ben taught Genesis DBC during the 2011 and 2012 seasons, and recently started working with Starriders Drum and Bugle Corps out of Bad Münder, Germany. Ben moved to Nashville in 2012 after earning a Bachelors of Science in Music Education from Western Carolina University. He currently serves as Operations Manager with Treeworks Chimes and is dedicated to producing and distributing the finest orchestral wind chimes in the world. Ben is very fond of nature, promoting positivity, and his beautiful wiener dog Shempi. Mike has been a snare technician for Music City Mystique since the 2017 season. He was a marching member of McM from 2011 to 2013. Additionally, he has been a marching member of two Drum Corps International World Class ensembles: Spirit of Atlanta Drum and Bugle Corps from Atlanta, Georgia; and Phantom Regiment Drum and Bugle Corps, from Rockford, Illinois. Additionally, he was a member of the Florida State University Big 8 drumline in 2009. He has been a instructional staff member at two DCI World Class Finalist ensembles as a snare technician: Crossmen Drum and Bugle Corps, from San Antonio, Texas, and The Cavaliers Drum and Bugle Corps, from Rosemont, Illinois. He currently resides in Pensacola, Florida working as a trial attorney. Rob has been involved with the Music City Mystique organization since 2000. Rob was a member of McM’s renowned front ensemble from 2000-2007 and began teaching the front ensemble in 2008. Rob is also a staff member of The Cavaliers Drum and Bugle Corps from Rosemont, Illinois, where he has taught the front ensemble since 2008. Additionally, Rob has taught at multiple high schools in the middle Tennessee area and has performed various clinics on front ensemble techniques throughout the South. Dan has been a music student since the age of 9 and has been involved with WGI since 2002. It is one of his favorite things in the World. He began his marching career with WGI open class ensemble Aftermath Indoor Percussion, and started marching Drum Corps with DCA’s Reading Buccaneers Drum and Bugle Corps. His marched his age out season playing snare drum with the 2008 Cavaliers Drum and Bugle Corps. In 2009 Dan joined the cast of Rhythm X where he performed 2 seasons winning a Gold and Silver Medal to finish his marching career. Dan studied percussion at University of Delaware under Jim Ancona and at Eastern Kentucky University where he earned his Bachelor of Music Degree in 2010. 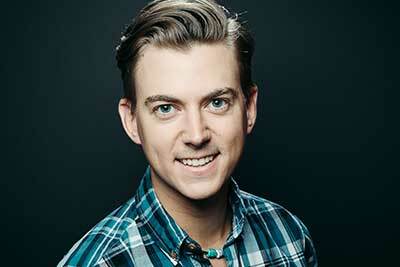 He is now a full-time professional musician and educator based in Nashville, TN. Dan is a proud endorsing Artist for Pearl drums and percussion, and Innovative Percussion drumsticks and mallets. Dean has had the pleasure of working with Mystique’s Front Ensemble since the 2015 season. As a former member of the group (2012, 2013), he loves being able to give back to the organization that taught him how to be confident, humble, and vulnerable. When teaching, his main goal is to foster an environment in which each student is inspired to trust and believe in themselves and their team. In the summer, Dean also serves as the Front Ensemble Coordinator for Spirit of Atlanta Drum &amp; Bugle Corps. He currently lives in beautiful Chattanooga with his 15-year-old cat, Callie, and works as freelance writer. Ben is a native of Cornelius, North Carolina. Last May, he received his Bachelor of Science in Music Business from Appalachian State. After finishing his degree, Ben relocated to Nashville. Ben’s has experience in the marching arts with a variety of groups including Carolina Crown, Bluecoats and Music City Mystique. He spent his last two indoor seasons with Mystique in 2016 &amp; 2017, aging out as snare section leader and earning 1st place. Ben is excited for his first year as a battery tech for Mystique. Outside of music, Ben enjoys snow skiing, water skiing, spending time outdoors and heckling his friends. Justin returns for his 9th year with Music City Mystique. Originally from Clarksville, TN, he now lives in La Vergne as an active teacher, writer, and performer. Before aging out of the activity, he was most notably a member of Spirit of Atlanta in 2010, Phantom Regiment from 2011-2014, and Music City Mystique from 2011-2016 where he served as a section leader for the later 4 years. Justin holds a bachelor’s degree in music education from UT Martin and currently works as the Director of Percussion Studies for Page High School in Franklin, TN. Tim Provence is a drummer and percussion teacher residing in Nashville, TN. A graduate of the Belmont School of Music, Tim studied marching percussion with the legendary clinician, Bill Bachman (author: Quad Logic, Stick Technique) and was a member of the tenor line at Boston Crusaders (2009) and Music City Mystique (MCM) (2011, 2012), winning the WGI World Championship in 2011 with MCM. Tim is an international percussion clinician and has written and taught for many high school, collegiate, and independent percussion programs across the globe. Tim also teaches private drumset and marching percussion lessons to students of all ages at his private studio in Nashville. Eric Robertson has been a part of Mystique’s staff since 2017. He was a member of the front ensemble from 2011-2014, and 2016 where he played bass guitar. A native to Tennessee, Eric attended the University of Tennessee where he graduated with a degree in electrical engineering. Since then, he has served as a system designer and audio engineer for multiple high school groups in middle Tennessee. He currently resides in Murfreesboro, Tennessee where he works in digital acceleration and robotic process automation for Nissan North America. While not working, he enjoys spending time working on his solo music project Under This Cracked Shell. Geoff Watkins has been a part of Mystique’s instructional staff since 2014. Originally from Norwalk, Connecticut, he was a member of Mystique from 2011-2013. After Graduating from Middle Tennessee State University with a BS in psychology, Geoff moved to Nashville where he resides currently. He has worked with numerous percussion programs throughout Connecticut and Middle Tennessee as well as Blue Stars Drum Bugle Corps from 2013-2018 where he most recently served as battery coordinator. Geoff proudly endorses Innovative Percussion and is very excited to begin Mystique’s 25th year. Joseph was a member of Music City Mystique in 2017 on drumset. From 2011 to 2012, he marched with Music City Drum and Bugle Corps also on drumset. He then went on to march with the Bluecoats from 2013 to 2015 where he aged out as front ensemble section leader. Additionally, he was a member of the Ole Miss “Pride of the South” drumline from 2012 to 2016. Joseph currently resides in Memphis, TN working as a Continuous Improvement Engineer. Chase started his career with Mystique as a member of the bassline in 2011. He continued from 2012 through 2014 serving as the bass drum section leader. “The opportunity to stay with the home team and become part of the instructional staff is exciting and a privilege,” says Chase. In addition to McM, Chase has served as the bass drum technician for Spirit of Atlanta in 2014 and has been on staff for the Bluecoats since 2015. He currently lives in Atlanta, Georgia working during the week for an engineering firm Arcadis. CJ Barrow, educator, composer, and arranger, joined the Music City Mystique legacy in 2016 as a member of RMCM. After aging out in 2017, he earned his Bachelor of Music in Music Education from the University of Tennessee at Martin. He now currently serves as the band director at East Robertson High School, and is simultaneously composing, designing, and arranging for many other schools and programs. CJ looks forward to watching others be inspired the same way Mystique inspired him. Logan is a Tennessee local, from Kingsport. His drum corps career started with Spirit of Atlanta’s bassline from 2011-2012, followed by two years with The Cadets in HolyBass, serving as section leader in 2014. He became a part of Mystique Bass in the 2012 season and marched for 4 years, finishing 2015 as section leader. Currently, Logan is a Production Engineer for DENSO in Maryville, TN and looks forward to working with the best performers in the activity. Jack has continuously worked as a cymbal and visual instructor and choreographer for over a decade, working with some of the most elite ensembles in the country. He joined the staff at Music City Mystique in 2010. He has also worked with the Crossmen Drum and Bugle Corps, Spirit of Atlanta Drum and Bugle Corps, and most recently the Madison Scouts Drum and Bugle Corps. He is in demand as a visual adjudicator at the national level, and is fortunate to regularly work for some of the most prestigious circuits throughout the country. Charles Carty joined McM’s instructional staff during the 2015 season. Charles has helped make it possible for members to follow in his footsteps and the footsteps of those before him on the path to greatness. From 2012-2014, he was a member of the cymbal line, serving as the section leader for his age out in 2014. Charles also marched for the Teal Sound Drum and Bugle Corps in 2011 as well as Spirit Of Atlanta from 2012-2013. During the more recent summers, Charles has been teaching the Oregon Crusaders cymbal line.